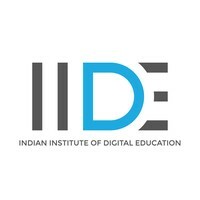 Indian Institute of Digital Education (IIDE) is India's first school created to support all digital activities of any business in today’s fast-growing online world. Our courses have been designed in collaboration with industry experts, keeping in pace with latest concepts and skills of the digital world. All the courses are structured to impart in-depth subject knowledge with prime focus on keeping subject matter interesting and easily understandable at the same time. Our courses make use of small topic-wise videos which make the information absorption easy.